I thought that nothing screamed Fall to me more than caramel apples, but I was wrong. Caramel apples that look like pumpkins just might scream a little louder. 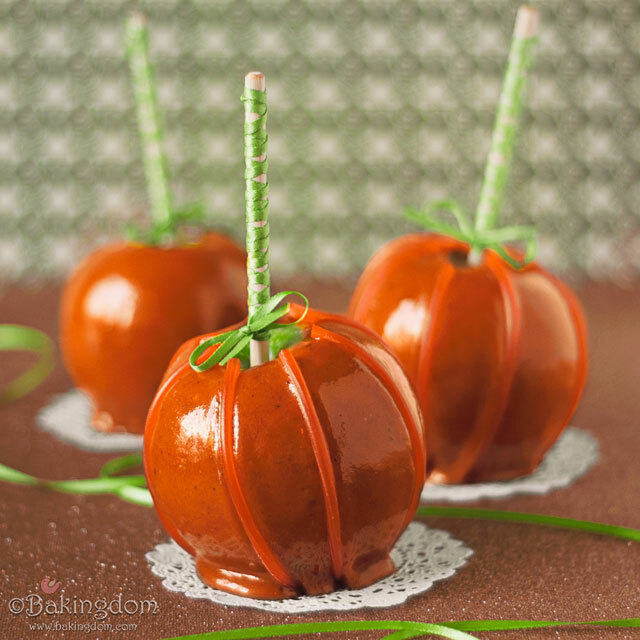 These cute pumpkins are from Bakingdom and you can get the recipe for these yummy cinnamon caramel apples HERE. Can't you smell them cooking already? This is so cute and simply ingenious!